Below is your new go to guide for effortless style this season. There's a good mix of feminine florals, with Copenhagen tailoring and East London edge coming together for your key Winter pieces. Enjoy! Yes, I know you're instantly going to be thinking florals aren't exactly much of a surprise because they've been a big situation all year but now they're becoming tiny. Micro-florals spread over amazing boho midi dresses with long fluted sleeves and effortlessly floating in the Autumnal breeze is what we're aiming for here. Think Blake Lively with a mix of Alexa Chung edge and throw in some spice with some layered necklaces you're good to go. If you want to push it a little more or you're not much of a dress person try wearing a pair of jeans underneath and leave the dress (if it's buttoned down) unbuttoned so it's more open. As ever, denim will never leave our trusted sides. 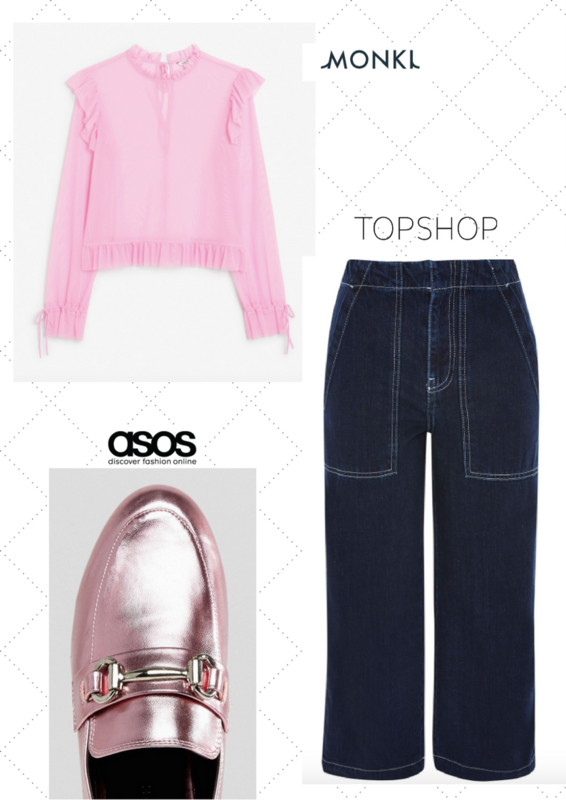 This season it's time to chuck your faded mom jeans and swap them in for some dark blue straight legged ones. It's less about the skinny jeans and more of a looser but tailored cropped style. Complete with a loose shirt or printed silk blouse tucked into a high-waist and some cool metallic loafers. This is a key style that's going to carry us into winter. If you're anything like me and reluctant to let summer go this is perfect. 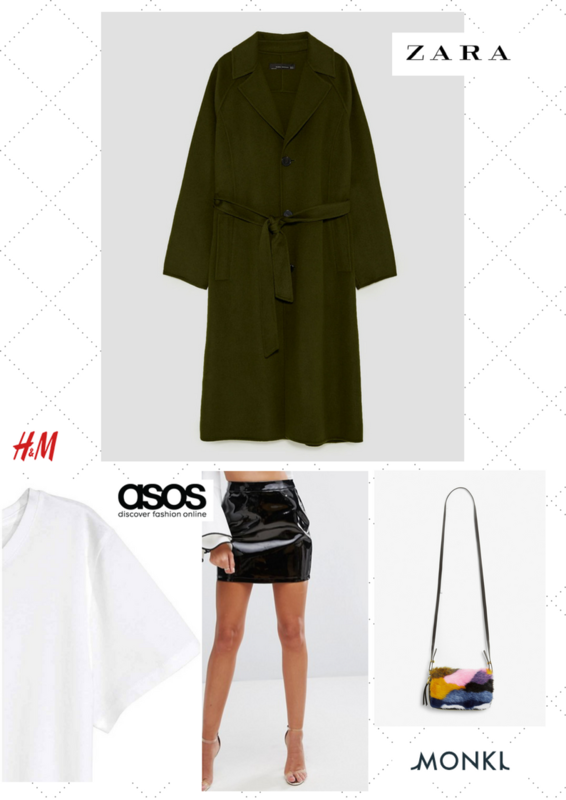 Take a mini skirt or shift dress, keep it super stripped back and simple with a white t-shirt then find a strong heavy long coat in a rich colour to make it seasonal. Grab a trusted side-bag with a bit of sass and you're set to go. FINALLY checks are back. 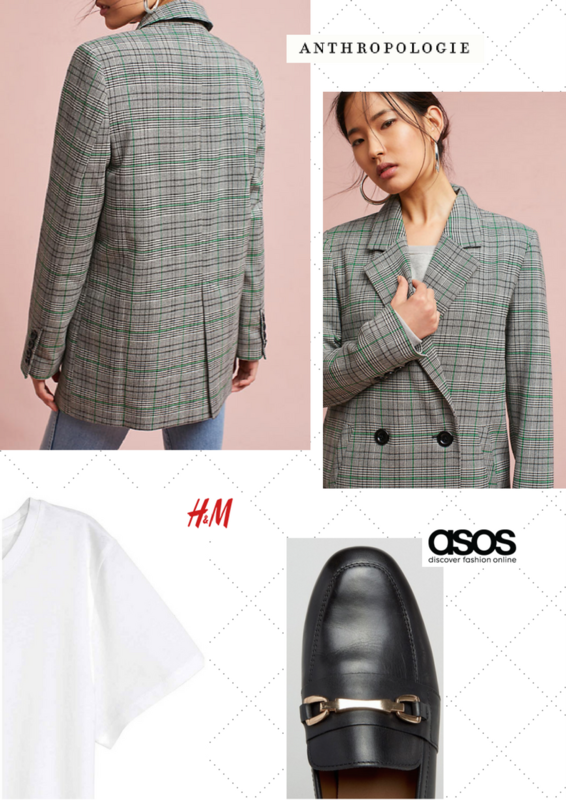 If you saw my previous post which featured an amazing Anthropologie blazer (which is now in the SALE) nothing's moving for this trend. Find yourself a well-tailored blazer in your preferred check and wear it with everything. It's going to finish every outfit by this time next month so get in quick. Wearing it with some masculine loafers or a Doc Martin would look ultra cool.